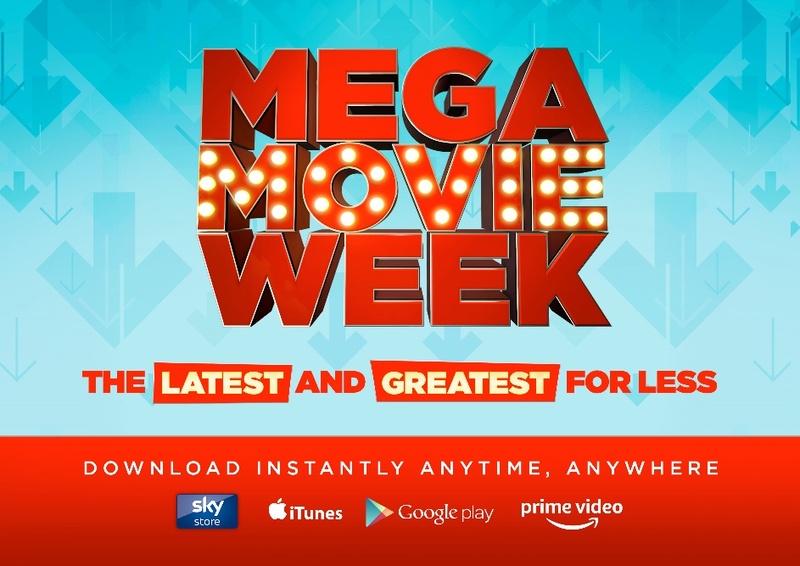 The Digital Entertainment Group Europe (DEGE) and the British Association for Screen Entertainment (BASE) has today announced the launch of Mega Movie Week, a category-wide campaign to drive consumer engagement with the growing digital transactional market, running for the week commencing January 21st, 2019. During Mega Movie Week BASE and DEGE members including BBC Studios, Entertainment One, HBO, Lionsgate, NBCUniversal, Paramount Home Entertainment, Sony Pictures Home Entertainment, StudioCanal, Twentieth Century Fox Home Entertainment and Warner Brothers Home Entertainment will offer consumers a range of the latest and greatest digital releases to download at amazing prices for one week only, with retailers including Sky Store, Amazon Prime Video, iTunes, Google Play, Rakuten TV, BT TV Store, PlayStation Store, Xbox and Chili all taking part to attract new and lapsed customers to the video category and to trial digital ownership. Supported with a multi-layered marketing campaign across broadcast, digital, social and print platforms, the Mega Movie Week campaign will also drive awareness of the benefits of digital ownership through a concerted PR campaign utilising a range of news generation and influencer activity to reach the different audiences across the campaign. Retail partners will further support with a range of on and off-platform activity and with a full range of CRM activity aimed at keeping new customers engaged beyond the week-long campaign. Mega Movie Week is the latest in a range of projects aimed at delivering new customers to the video category. Implemented with the benefit of member insight, it will be followed with full campaign analysis from the BASE and DEGE insight team for the benefit of its members and the category as a whole. For more information on the campaign, please contact [email protected].